Summary: Spider-Man is an absolute essential. It is a showcase of much of the best that this industry has to offer and should not be missed. 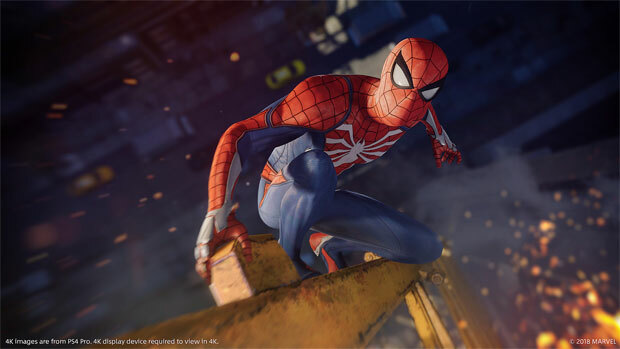 Spider-Man on PS4 arguably marks the first time a truly top-tier developer has created a game starring your friendly neighbourhood Spider-Man since Treyarch’s efforts that released alongside the equally brilliant Sam Raimi movies. This time around Insomniac Games of Spyro and Ratchet & Clank fame are heading development, that alone should be reason enough for excitement to build around the game. That excitement has only built with each trailer for the game. With all the anticipation that surrounds its release, Spider-Man had to provide a stellar adventure. Thankfully, it absolutely excels in doing this. Insomniac were given free rein to create their own universe with this title, and a fantastic decision that has proved to be. 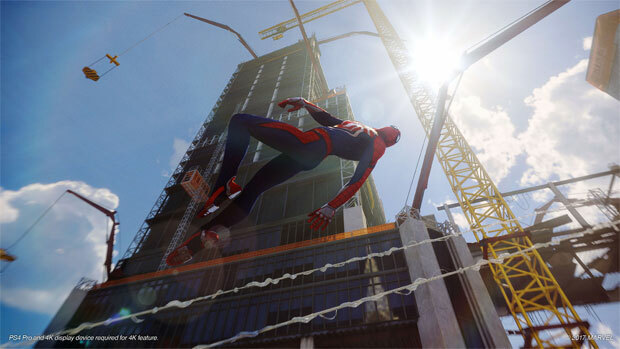 Through not being tied to the Marvel Cinematic Universe or any other incarnation of the wallcrawler, Insomniac has been able to create a world and a Spider-Man which are both familiar and unique incarnations in their own right. 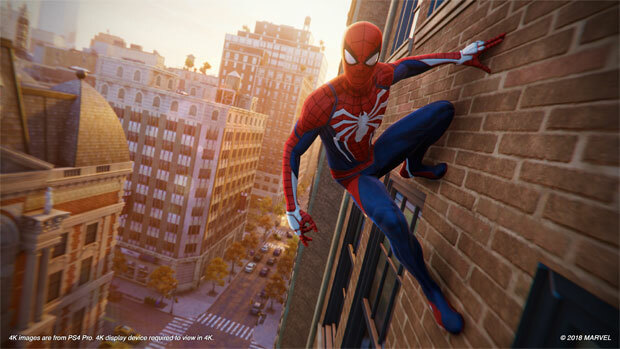 The game’s characters are brimming with life- Peter is adept and comfortable in his role, Mary Jane is a journalist for the Bugle who is anything but a damsel in distress, plus a few other fan favourites even play a part. The development of familiar characters is frankly fantastic. Familiar characters are introduced with their own foibles, their own nuances. The introduction of certain characters is uncomfortable in the best possible way. Here this means that the dramatic irony of knowing a likeable character will become your enemy is both discomforting and a sign of very adept writing and character development. One thing that stood out from the moment the game was revealed was its presentation, this remains true in the game’s release. The visuals of the game are up there with the best on the PS4; New York is a joy to look at. The city is stunning and home to various locations Marvel fans will recognise, from the headquarters of the Bugle to Alias Investigations. Likewise, the character models look similarly good to other Sony efforts like Until Dawn. It should be noted that many of the costume design choices are eye-catching and don’t fall into the trap of valuing a functional look over a fun aesthetic; the costumes in Spider-Man look as if they could be taken straight from the pages of the comic books. Spidey’s surroundings being a pleasant sight can only get the game so far; if the game doesn’t feel good then it is all for nothing. Thankfully, this is where the game excels the most. Every element is designed to make you feel that you truly are Spider-Man. Traversing through (or more often over) the streets of New York is a pleasure; web-slinging feels fluid and cinematic, yet there is never a moment you don’t feel in full control. Although fast travelling is available, there is no pull to use it simply because getting to a destination yourself is much more fun, exactly what you would expect from the studio that already made traversal a joy in itself with the fantastic Sunset Overdrive. Spider-Man takes elements of that very title in its utilisation of a remarkably similar parkour system. This is often coupled with web-slinging and the two transition from one another seamlessly. The combat marks a continuation of the fluidity shown in traversal, as you feel as acrobatic as one would hope. There are various upgrades and moves which can be attained with skill points earned via the games’ levelling system. 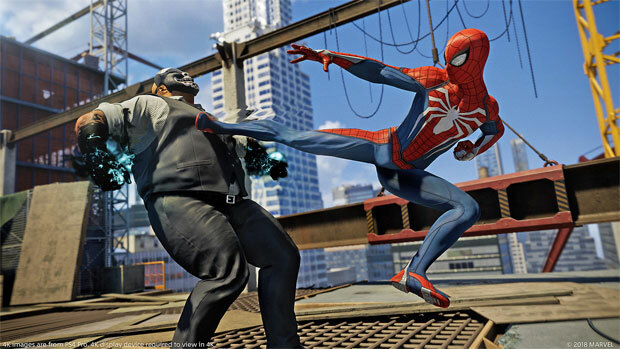 All of these upgrades expand the combat in fun ways, from a swinging kick to various gadgets such as a drone and electrical pulse which add nicely to Spider-Man’s arsenal. Naturally, it is advantageous for enemies to be fought in the air- this is the best way to avoid the crowds of enemies that will be vying for your blood. 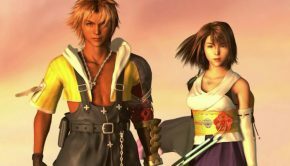 Though often it may be easiest to resort to the same tactics of fighting enemies one by one in the air, this would mean missing out on the satisfaction which can be gleaned from mixing up combat. Employing varied combat can seem tougher at times, but it is encouraged the further the game progresses with the introduction of new enemy types. By-in-large your time as Spider-Man will consist of some heart-pounding action scenes and crime-fighting escapades. However, there are also breaks from the fast pace which come in various forms. One such break from the action sees Peter working on mechanisms in his workplace- a local laboratory headed by a familiar character. 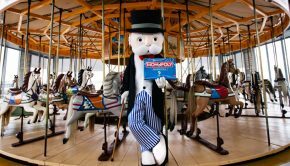 These come in the form of puzzle sections, and while they initially seem to be a weak link due to their simple nature they soon become complex enough to offer a welcome challenge. Likewise, another change of pace comes from stealth sequences which put you in the shoes of other noteworthy characters. This not only offers a welcome break from the all-out action that Spidey’s missions often involve but also allows for a good amount of character development of the supporting cast. The music in the game never amazes, but it is more than serviceable. While no song in the game will be playing over in your head after your playthrough, no one track would feel out of place in any modern Superhero movie. 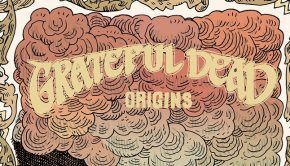 Although the music is at times unspectacular, this is because it largely takes a backseat to the various voices you’ll be hearing throughout your adventure. The best of what you’ll be hearing comes in the form of the radio show hosted by J. Jonah Jameson. These soundbites are everything that one could hope they’d be in sleeziness, vanity and all. 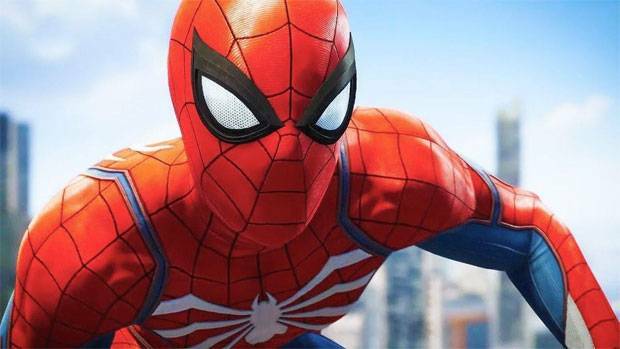 Spider-Man for PS4 marks a game which is a joy from start to finish. It is not only one of the best games to be released this year, it is one of the defining games of a generation. This game represents the best work we have ever seen from Insomniac and the potential for sequels is a mouth-watering prospect.